Alyson and Graeme got in touch to get help with some renovation ideas they had been bouncing around ever since they'd bought the property. 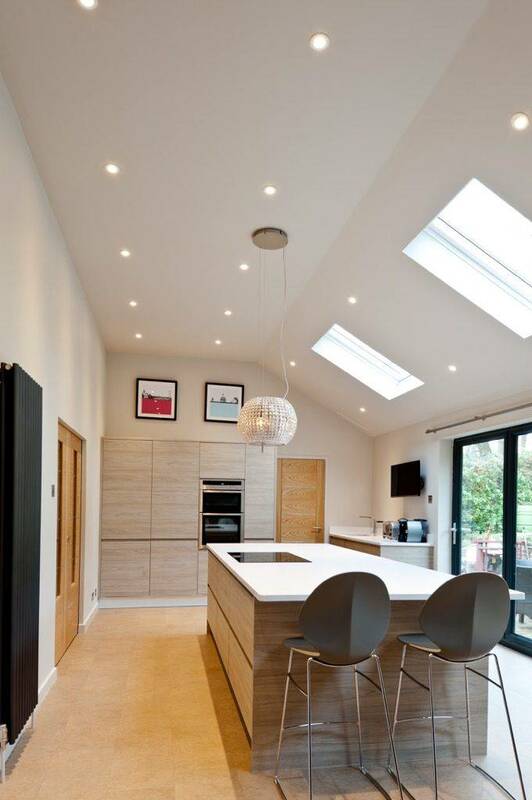 They wanted to knock down the wall that currently split the living room and dining room, and take out the low ceiling to have a huge light filled, vaulted ceiling kitchen, with large bifolds to the garden area and a great open plan living style. Plus a new set of open rise stairs. 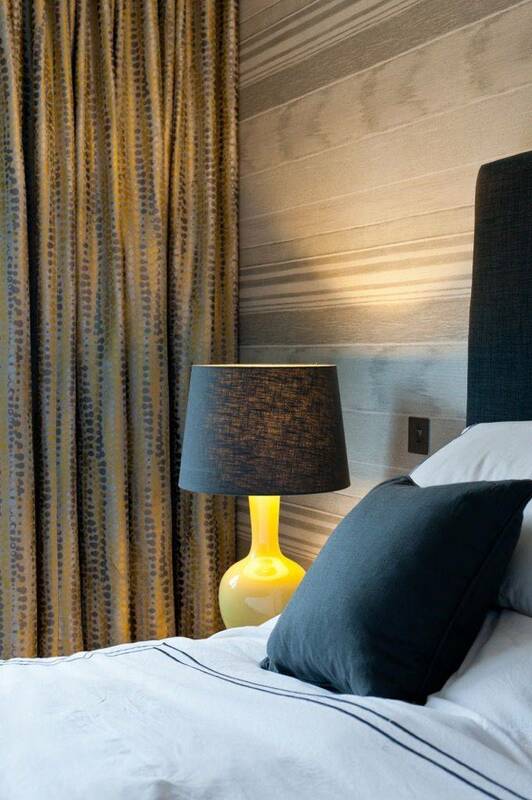 We were to design the space as well as work with our contractors to make all of this a reality. Built in the 1970’s, the house itself is upside down, so the main living areas are on the first floor. 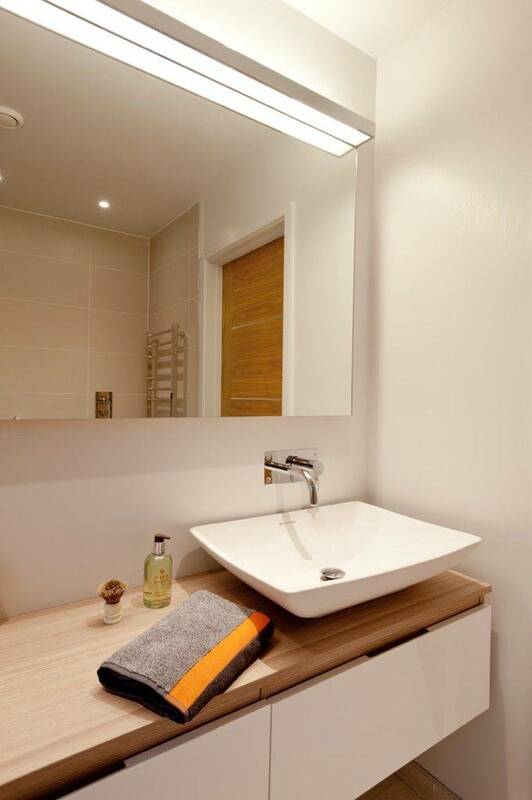 The dated ensuite needed changing, as did a long utility room that was out of proportion with the size of the kitchen. 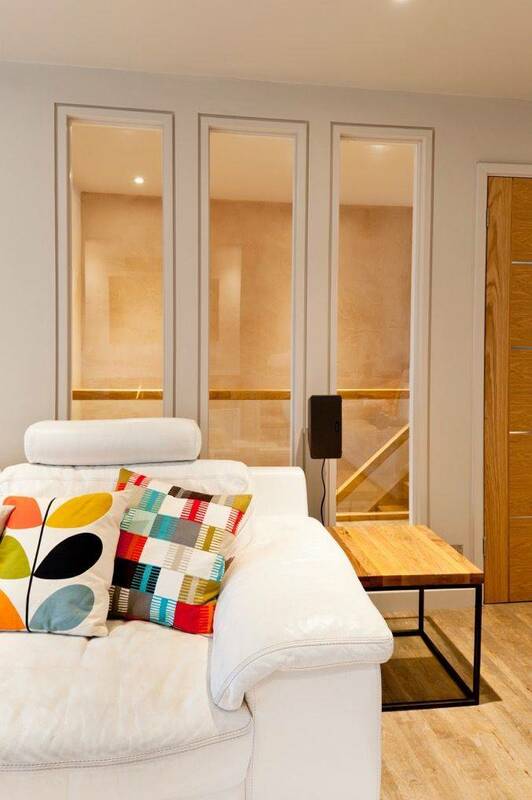 The layout of the house meant there were a few nooks and crannies creating awkward spaces, not the best for maximising space. So, firstly we set about designing the overall layout of the main living floor, working through the interior architecture for them. 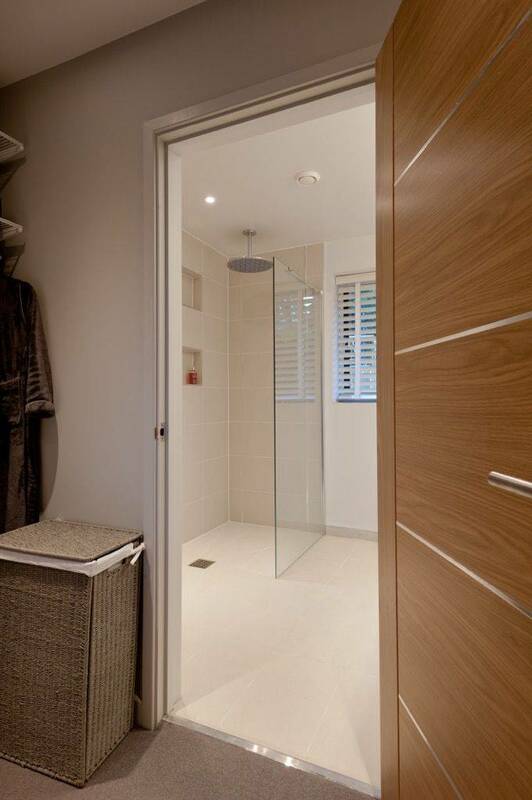 By ‘stealing’ part of the utility room and rejigging a few walls, we moved the ensuite bathroom back, creating a fantastic new walk in wardrobe to link the master bedroom with it’s ensuite. 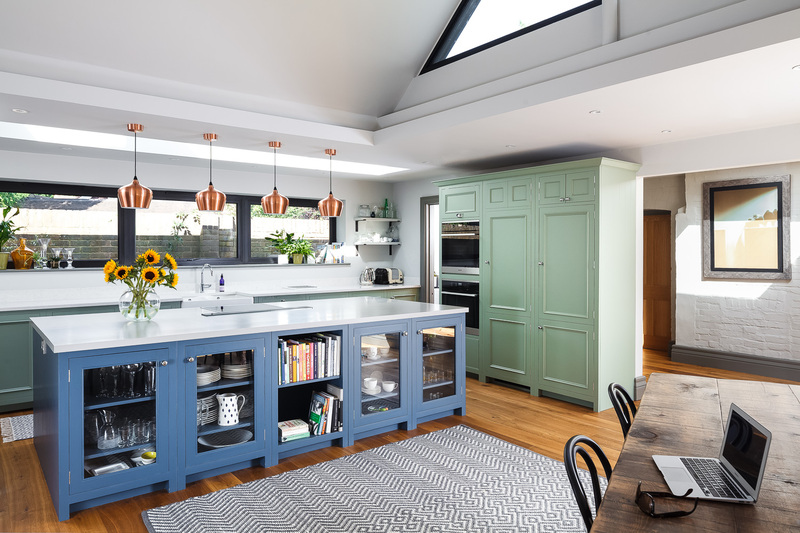 We designed the kitchen to be as streamlined as possible, with everything hidden away and the taller part of the kitchen and chose wood to add warmth. The long island with breakfast bar is perfect for preparing the family meals, whilst the boys make use of the bar stools to do homework. 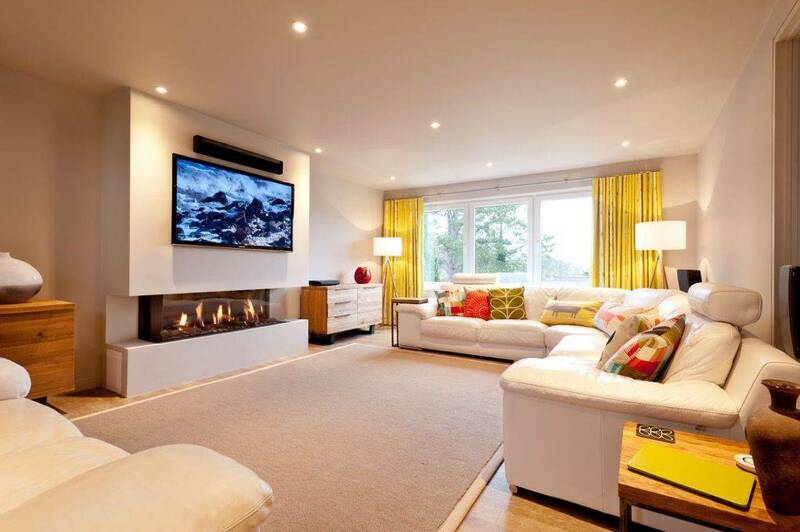 In the living room, the dated fireplace was on Alyson and Graeme’s wish list to be changed. The new open plan of the room means that lots of items are visible throughout and the fire we chose had 3 open sides to that it can be viewed from lots of angles in the room! It gives out a ton of heat whilst bringing a seriously modern design element to the living room. 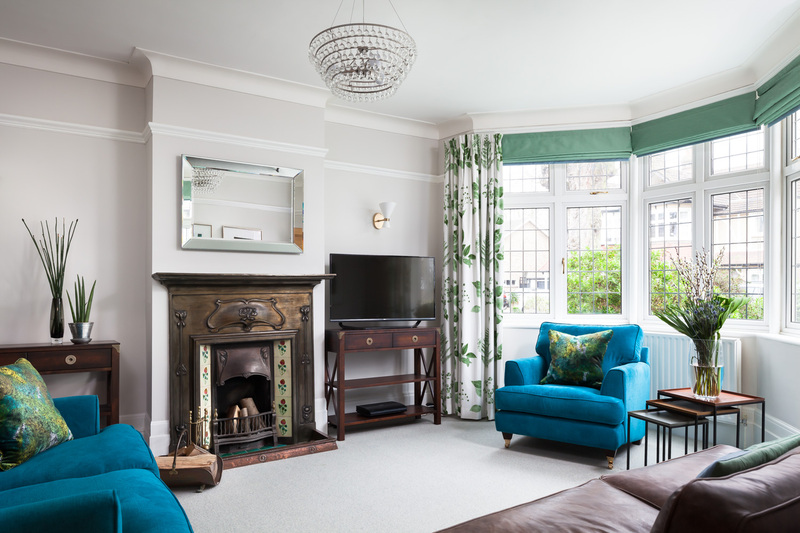 To keep the space bright and fun, bursts of colour were added to the scheme through the dining chairs, bar stools and curtains and then through to the cushions in the main living space, which adorn the sofas that are the only remaining part of the original room we were to work with! 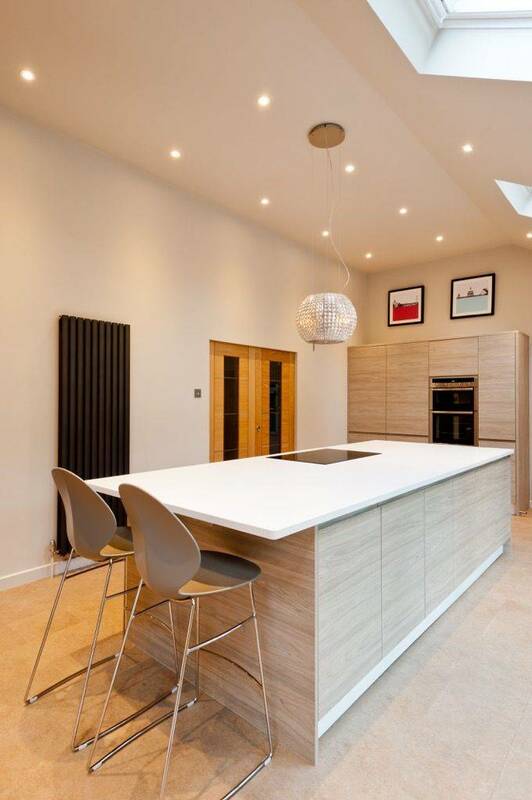 The streamlined effect runs through the whole of the home – with the new oak and glass open staircase and the fantastic mix of amtico flooring, that changes in different areas to give definition to the spaces. All of this combines to give a home with tons of personality for a really lovely family to enjoy.